Created in 1996 Acqua Di Gio For Men by Giorgio Armani continues to be one of the most enduring fragrances for men. Acqua di Gio is a fresh, amrine fragrance that instantly transports you to a Mediterranean Beach in Summer. with the bittersweet power of of sea water on sun-drenched skin. It is an elegant fragrance for the contemporary man, a wearable true classic, like a crisp white shirt. FRAGRANCE NOTES : citrus notes, rosemary spiciness, jasmine, hint of wood and ocean breezes. 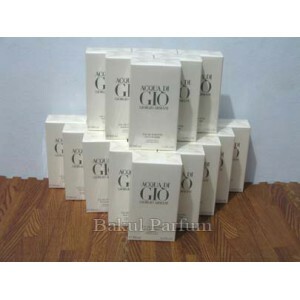 Beli parfum original Giorgio Armani Acqua Di Gio for Man sekarang, harga termurah di Indonesia! !